Special Containment Procedures: SCP-1024 is kept in a secure locker at Reliquary Containment Site-76, under standard Level 3 Bibliomorphic Containment Conditions. Access to SCP-1024 is prohibited without level 3 authorization. Personnel assigned to researching SCP-1024 have standing authorization for access, but must inform their Project Leader before accessing SCP-1024 and must log all activity related to its use. Description: SCP-1024 is a modified Dungeons and Dragons Basic boxed set, published ca. 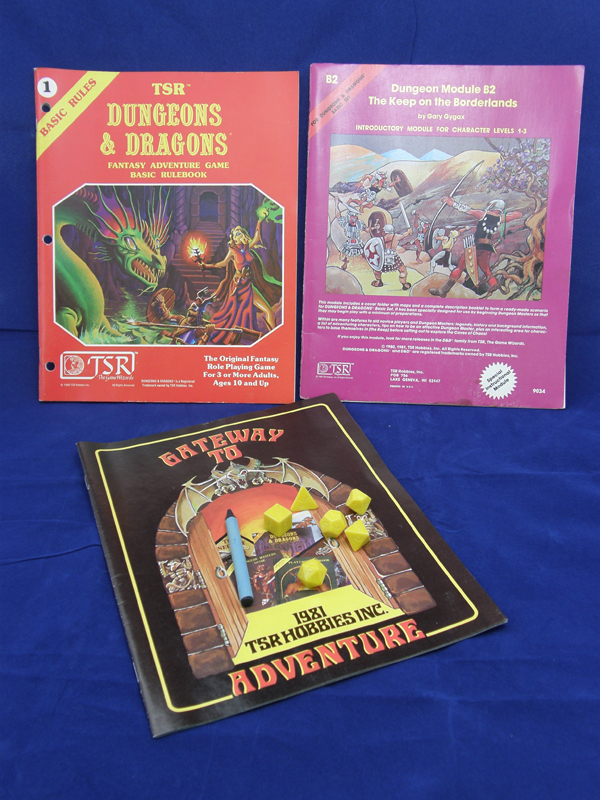 1981, in nearly new condition, consisting of a rulebook, a module (a pre-printed adventure), a catalog, a set of dice, and a crayon. Although SCP-1024 superficially resembles a standard box set sold at the time, the rulebook and module have had their pages removed and replaced with sheets of vellum and bound using platinum staples. The pages are filled with diagrams and text written in Classical Latin using red ink, and the books smell faintly of sulfur. Together, the two books provide basic information with which one can, with sufficient study and practice, invoke a variety of low-power anomalous effects. The rulebook (designated SCP-1024-01) is sixty-four pages long and contains general information regarding invoking these effects, including the types of material to be used (and why), how to choose and prepare a location for invoking these effects, how to prepare the self beforehand, and steps to take in case something goes wrong. SCP-1024-01 does not include procedures for invoking any specific effect, however. The books imply that stronger effects can be invoked using information that can be found in a different, more advanced set of books. However, no such volumes have yet been found. The remaining components of SCP-1024 (the catalog, dice, crayon, and box) do not appear to have any anomalous properties.